Hair density is the total number of individual hair strands. In normal meaning, it indicates how many hairs are there on a person’s head. Hair density is classified as thin, medium and thick/dense. You generally had heard from everyone that your hair is so thick, your hair is thin. Most speakers think of thick hair and it refers to hair density. Many individuals know that hair density and hair texture is the same. But the truth is the people have similar hair texture with different densities. The average hair density is about 2,200 hairs per 1 square inch. Hair with high density has more hairs per 1 square inch, and hair with low density has fewer hairs per 1 square inch. The average head of hair contains about 100,000 individual hair strands. The number of hairs on the head generally varies with the color of the hair. Blonds usually have the highest density, and people with red hair tend to have the lowest. How Do I Know My Hair Density? 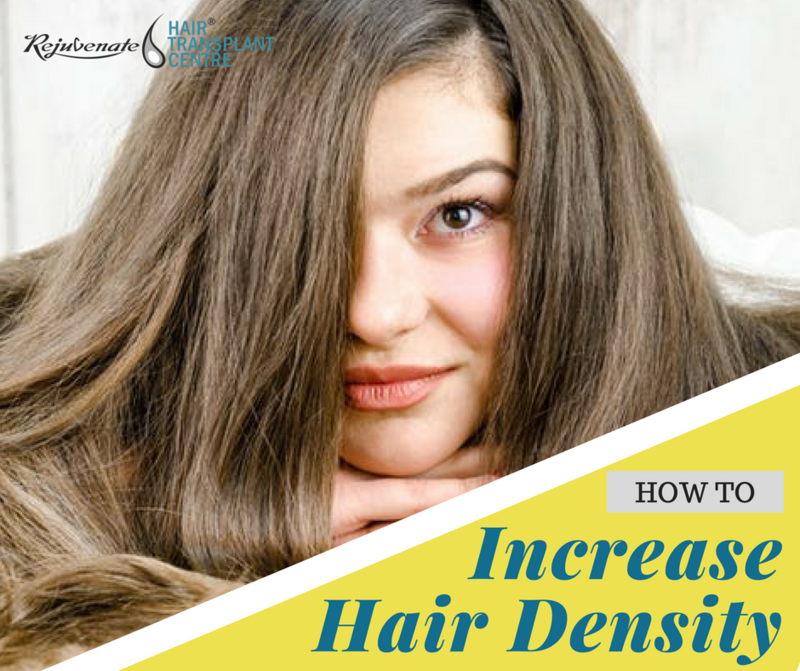 If you want to determine your hair density then you should do it in your dry hair. In wet hair, it is not possible to determine the density of hair and it usually appears thinner. Just look at a mirror and observe your head carefully. Are you able to see your scalp? If you are able to see it then you have a low hair density. If you only see some parts then you are having medium hair density and if there is no scalp appears after looking at the mirror when you are having a high-density hair. For increasing hair opting the right diet, managing stress and taking the right care of your hairs and scalp is vital. Green tea is enriched with antioxidant and antibacterial properties which help in better hair growth which result in thick hair. Daily a cup of green tea helps to manage your hair regularly. Scalp massaging is one of the ancient ways and today also it has a lot of benefits. It increases the blood circulation and strengthens the roots of the hair which make your hair strong. After using it over a certain time of period you will notice a thick hair. The best to use is coconut oil or jojoba oil. The best way to control your hair issue by maintaining a balanced diet. A balanced diet helps you to maintain your hair volume because there is an intake of a healthy diet with essential nutrients like minerals and vitamins, iron, Vitamins C, B, copper, and zinc. These enriched nutrients help to increase your hair density naturally. Aloe Vera is one of the best and natural ways to increase your hair volume. Many kinds of research are conducting to know the facts and benefits of hair tissues. When you use it sensibly, it helps you get back your thick and lustrous hair. Aloe Vera is already having an essential nutrient which reduces your hair fall and thin hair. Regular use shows great benefits for the scalp. For everyone hair density matters as when a bald person who decided to go for transplant must ask their doctor about hair density. According to the Statistics from ISHRS around 64% of patients are unhappy with their result after a hair transplant. And genuinely it has no surprise that patients want greater density. Today many doctors perform fue method because they know the importance of hair density in an individual. During a hair transplant, it is also important for the recipient area to support a certain amount of transplanted hairs in order to provide blood flow and nourishment to each new graft. In many cases, it shows that the recipient may not achieve the same density as the native scalp. One of the best thing for having a thick hair density is the person able to style their hair. The person has full control to provide any shape to hair which really shows a classic look. As age moves, it brings a bald spot in the near future, but the people with thick hair need not worry about this. It usually brings tension to those who have thin hair. As an appearance, long and thick hair always looks fabulous when we compare to thin hair. If you want to maintain your hair thicker then while shopping, purchase the best combs and hair brushes which are made up of natural materials. This will keep your hair healthy and damage free. Make a habit to avoid rubbing your hair with a towel, because during wet. At this time your hair is the weakest and vulnerable situation. Instead of that squeeze your hair and release extra water, it will help protect your hair from split ends and breakage. Avoid using blow dryers or straightening irons on your hair. Generally, these tools will make your hair weak and thin. Have a daily routine to drink lots of water and make a habit to eat raw fruits and fresh vegetables. It will always protect your thick hair from hair loss and dandruff. It also has a wonderful impact on the whole body. If you want thick and shiner hair then applies lemon juice. It makes your hair softer and removes all kind of fungus present in the hair.